Step 2: Click on Shortcuts > webpages. Step 4. Click on the page where you would like the image inserted. 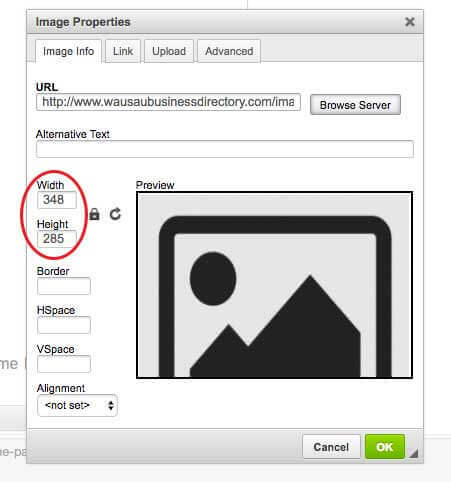 Step 6: Click Browser Server to search for or upload the image you want to insert into the webpage. Step 8: IMPORTANT - remove the height and width that the editor throws in to keep the site responsive. Step 9: You can use the text alignment buttons if you would like to float the image to the left or right, or center it.